My name is Lhamotso and I am the wife of the imprisoned Tibetan Filmmaker Dhondup Wangchen. My husband was detained on March 26, 2008, for filming interviews with ordinary Tibetans on their views on the Olympic Games, the Dalai Lama and Chinese government policies in Tibet. The interviews were made into a documentary film "Leaving Fear Behind" which has since been screened in over 30 countries worldwide. He has been transferred from his previous detention centre in Xining to a labor camp both in Western China's Qinghai Province. My four children, his aged parents, his brothers and cousins and I appeal to you to press the Chinese government to release him from prison when you hold talks in Beijing next week. 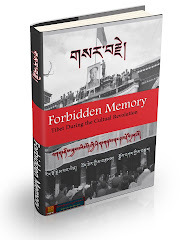 Though we naturally are immensely worried about the present situation of my husband in view of the recent news about his transfer to a labour camp we would like to remind you of the many hundreds if not thousands of Tibetans who are imprisoned by the Chinese government for exercising their basic rights and their desire for freedom. The people of Tibet are looking to the present US administration with the highest hopes and urge you to take a strong stand on the issue of Tibet. 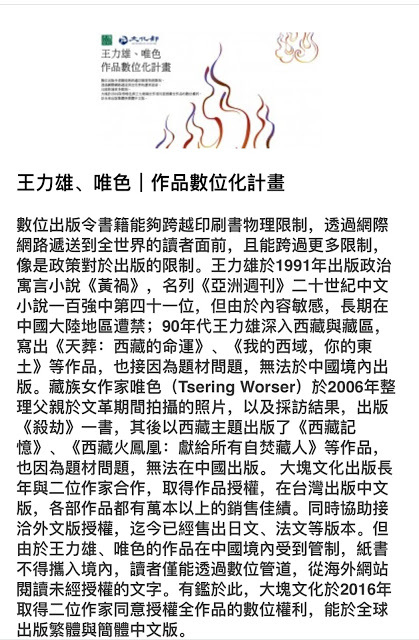 Zurich, May 19, 2010: Tibetan filmmaker Dhondup Wangchen who was sentenced to 6 years' imprisonment on 28 December 2009 for "subversion of state power", has been transferred from his previous detention centre in Xining to a labor camp  both in Western China's Qinghai Province. Wife and family members of Dhondup Wangchen called today on Hillary Clinton who is going to China next week to press the Chinese government to release those who are arbitrarily imprisoned for political reasons. Although Dhondup Wangchen formally appealed his 6 year sentence, it is assumed that the appeal failed and the verdict was upheld as he was transferred to Xichuan prison on April 6, 2010. Chinese lawyer Chang Boyang who travelled in February 2010 to Xining to represent Dhondup Wangchen was not allowed to meet with him and then was threatened in March with the closure of his law firm if he did not drop the case . 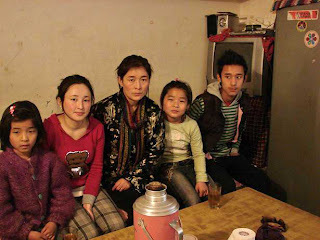 Dhondup Wangchen's wife in India, Lhamo Tso, said today, "We are absolutely desperate now. We are indebted to the brave Chinese lawyer Chang Boyang and also the previous lawyer Li Dunyong who both risked a great deal to help my husband. However, China has made it clear that it is impossible for us to work inside their legal system. Therefore I appeal to foreign governments to intervene to secure the immediate and unconditional release of Dhondup Wangchen, who did nothing more than exercise his right to freedom of expression." According to the Washington DC based Laogai Research Foundation, Xichuan Prison manufactures aluminum alloy windows, ordinary bricks, porous and hollow bricks and sinter concrete blocks . Dhondup Wangchen's cousin in Switzerland, Gyaljong Tsetrin, himself a former political prisoner said today, "It is very dangerous for Dhondup Wangchen's health to carry out hard labour in this facility. We already heard last year that he was suffering from Hepatitis B with no medical treatment. I also know several Tibetans who have been imprisoned there in the past who testify to the harsh living and working conditions. I'm extremely worried for Dhondup Wangchen". 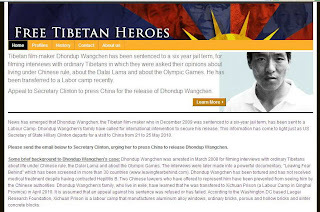 Dhondup Wangchen was first detained on March 26, 2008, for filming interviews with ordinary Tibetans on their views on the Olympic Games, the Dalai Lama and Chinese government policies in Tibet. The interviews were made into a documentary film "Leaving Fear Behind" which has since been screened in over 30 countries worldwide. Est. in Mar.1956. Orig. called Prov. No. 5 LRD. 1995 changed name to present. Houses minorities. Beside Tibetan, Uyhgur, also Miao, Bai and Yi prisoners. 40% inmates are minorities. Enterprise formerly Qinghai Hydroelectric Equipment Factory, controls Qinghai Gaoyuan switchgear plant, Qinghai Xifa, Jian'an limited co., Qinghai Xifa Gaoyuan machinery, Qinghai Xifa water and electricity, and Qinghai Xifa goods and utilities co. Companies have 560 equipment types including tertiary levels of electricity installation and LBAC construction quality. Produce 35KV high and low voltage switching cabinets and control equipment, aluminum alloy windows, ordinary bricks, porous and hollow bricks, sinter concrete blocks, etc. Annual production 140 mil. sinter blocks.